Drawing upon a unique blend of his extensive experience both as a corporate lawyer and a former corporate executive for a global private equity firm and for an investment banking firm, Mr. Hwang provides his clients effective and innovative legal representation with deep appreciation for business-focused solutions in a wide array of corporate and investment transactions. Many of the transactions that he has led, as a lawyer or as an executive, have included cutting-edge, cross-border aspects involving multinational corporations and global institutional investors. Mr. Hwang has worked on a number of securities, financing and M&A transactions as a lawyer for a leading international law firm based in New York and for a major foreign law firm based in Asia. The transactions included public and private offerings, convertible bonds offerings, note offerings and numerous cross-border mega-M&As. The industries for these deals involved healthcare, life science, biotech, semiconductor, chemicals, plastics, game production, credit cards and entertainment, often involving state-of-the-art technologies. As a professional investor and investment banker, he has completed numerous M&A, cross-border private equity and venture capital transactions, the aggregate value of which exceeds $3 billion. These transactions have included acquisition of the power generation business of Hyundai Heavy and the marine engine business of Samsung Heavy by Hanjung, acquisition of Samsung Electronics’ analog device business by Fairchild, investment in LG Capital by an investment consortium led by Warburg Pincus, investment in Nikko Asset Management by Warburg Pincus and investment in Cinema Service by Warburg Pincus and its subsequent merger with Locus Holdings. In the venture capital area, Mr. Hwang has advised as a lawyer or a banker on a number of investment transactions and as a fund manager has invested in start-up and growth companies. He has worked with venture companies across a wide spectrum of industries, including in IT/telecom, LED, gaming and mobile apps. He has also drawn on his experience as a researcher in a genetic engineering lab to advise or invest in companies involved in medical devices, agriculture technology and cosmetics. In addition to transactional work, Mr. Hwang is sought by his clients for his expertise in corporate strategy, on issues ranging from shareholder agreements to proxy battles. He also guides his clients on best practices in the corporate governance arena. As counsel for multinational corporations, Mr. Hwang has advised on numerous investigations in connection with regulatory enforcement and white collar cases. 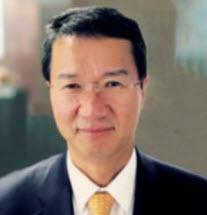 Mr. Hwang is a 1991 Order of the Coif graduate from UCLA Law School. As a 2L, Mr. Hwang served an extern clerk to U.S. 9th Circuit Court of Appeals Judge Harry Pregerson. Throughout his legal career, Mr. Hwang has been a passionate advocate for social justice and a strong supporter of public interest law. Advised Daewoo Shipbuilding & Marine Engineering (DSME) in connection with the reorganization proceedings of Seadrill Limited, which was the largest Chapter 11 debtor to file in 2017; assisted DSME with the negotiated rejection of executory contracts, the settlement on its $1 billion claim against Seadrill and the sale of two deepwater drilling ships to a solvent buyer; and arranged a sale to Deutsche Bank of DSME’s claim against Seadrill by organizing an auction among global financial institutional bidders. Advised issuers and underwriters across a wide spectrum of securities transactions, including the issuance of common stock via a rights offering by City National Bank, an issuer tender offer of common stock by Precision Castparts (a Portland aircraft parts manufacturer), convertible bond offerings by Formosa Plastics Group companies and a notes offering by MTRC (a Hong Kong government corporation). Advised Parkway Holdings, a Singapore hospital holding company, in its acquisition of hospital operations of Tenet Healthcare in Singapore and Malaysia; AIG in its acquisition of SPC Finance, a consumer finance subsidiary of Security Pacific Bank; Fairchild in its acquisition of the analog device business of Samsung Electronics; Hanjung in its acquisition of power generation and marine engine businesses of domestic competitors; and United Technologies in its divestment of air conditioner manufacturing operation in Korea.